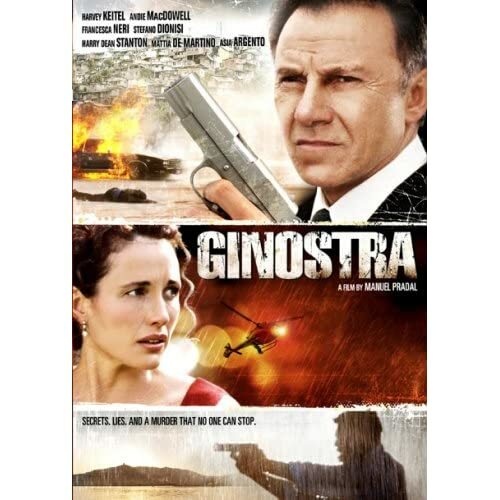 Ginostra - BUY THIS DVD! FBI agent Matt Benson (HARVEY KEITEL) is sent to the beautiful Sicilian coast to investigate who killed a Mafia informant and most of his family... everyone except the man's eleven-year-old son, Ettore. In an effort to protect him and get the reluctant orphan to reveal the identity of the murderers, Benson brings Ettore to stay at the villa where he is living with his wife (ANDIE MacDOWELL) and daughter. But the Mafia is determined to kidnap Ettore and finish their deadly job of revenge. With all their lives in constant danger, Benson must act quickly to solve the crime before it is too late. Unexpected twists, psychological tension and a maze of lies keep this electrifying thriller a surprise right to the very end. HOW TO WIN? SIMPLE. SEND IN YOUR NAME AND ADDRESS TO contests@efilmcritic.com. Put "THE TITLE IS ITALIAN FOR NAKED ARGENTO" in the subject line and cross your fingers. We will draw names and a winner shall receive a prize package from Lions Gate. Only 1 entry per household.